The Villanova men’s basketball team celebrates their NCAA Tournament championship last year. The Wildcats have won three titles in program history. Photo courtesy of Robert Deutsch/USA Today. It happens every year. You are sitting at a desk, pencil in hand, ready to fill out your NCAA Tournament bracket. As you begin to whittle the field of 68 down to the last few teams, you realize there are some really good matchups in the Elite Eight in some regions, and some, frankly, underwhelming matchups elsewhere. All of the blue bloods are filed into the same regions to drive up TV ratings and some Cinderella runs through the West before they are trounced in the Final Four. Well, I’m here to tell you that it isn’t just your perspective. It’s a structural flaw in the NCAA Tournament bracketing system that, if fixed, could make the greatest spectacle in sports even better. According to NCAA.com, teams are slated “in or as close to their region of natural interest as possible,” which, at the surface, makes sense. The NCAA is a money-making business. They want to get as many wealthy alumni to support their alma maters as possible, so they wave the proximity factor in front of their faces until there is enough demand to drive prices sky high. Another positive is that teams from similar regions can play each other. Locals go crazy when North Carolina or Duke is matched up with a smaller North Carolina school like UNC-Asheville or UNC-Wilmington. Again, it creates good rivalry fun between alumni, the ones that drive the income for the NCAA. I’m not opposed to an organization making a few bucks, but in order to create a competitive balance in the NCAA Tournament, they must change the way they bracket. The fact of the matter is so many of the nation’s college basketball powerhouses live in the Southeast and Midwest of the country. There are geographic hotspots in the country where college basketball is king and high-level recruits are drawn. Of the 40 spots in the Final Four in the past ten years, only eight of those teams were schools west of the Mississippi River. If you take the state of Kansas out of that equation, that number drops to four. This consistently makes the West the weakest region in the entire tournament. Since 1990, only five teams from this region have gone on to win the national championship. To put it in perspective, teams from the South region have won five championships since 2010. Despite efforts to spread college basketball around the country, the perennial teams live in the Southeast. Louisville, Kentucky, Florida, North Carolina, Duke and Virginia are just a few. With the current system in place, these teams will always be drawn to similar regions. Take the 2017 tourney, for example. The South region was chock-full of national contenders. North Carolina, Kentucky, UCLA and Butler were the top four seeds. North Carolina was the third overall seed but the betting favorite to win the tournament. Kentucky was the top-rated second seed. UCLA was No. 11 on the seed list, but had Lonzo Ball, one of the top players in the nation. And Butler was the top-rated fourth seed. Those four teams had been to at least two final fours each in the last ten years. The top four seeds in the West regional of that same tournament were Gonzaga, Arizona, Florida State and West Virginia. 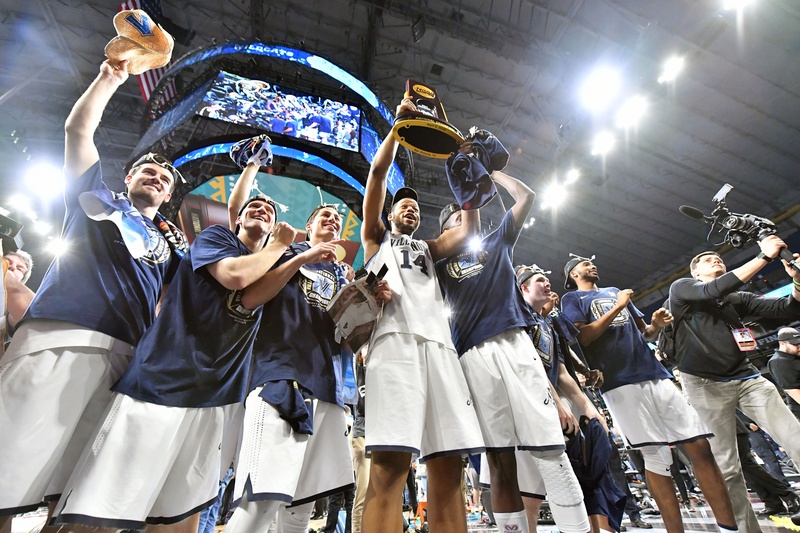 In the same span that saw the teams in the South regional reach a combined 11 Final Fours, the West regional had one total Final Four appearance. The solution? A true S-curve for seeding in the NCAA Tournament. An S-curve is when the top-ranked seed in the tournament faces the lowest-ranked second seed in the field. Then, that region would get the top-ranked third seed to set up a very even potential Sweet 16 matchup between the eighth and ninth-ranked teams. To wrap up the top four seeds, the region would get the lowest-ranked four seed to reward the top seed. One potential drawback is increased travel distances for teams, but teams are traveling to the Bahamas and halfway across the country for conference games. Travel in today’s modern world is a non-issue. How would that 2017 tournament shape up without the regional bracketing? Kentucky and Butler would get cracks at Gonzaga, while North Carolina would get a much easier path to a Final Four. Kansas and Duke are staring each other down for an Elite Eight showdown. Sure, Arizona and Oregon have to travel a ways, but not nearly as big of a difference as one would think. If a team is really concerned about staying close to home, get the No. 1 overall seed. The increased travel is well-worth the good, quality matchups. And don’t worry, NCAA, you’ll still make your dollar in the end.